Ingrid is a fragrance from Tableau de Parfums, the collaboration between the Swiss perfumer, Andy Tauer, and the American, Memphis-based, indie filmmaker, Brian Pera (who is also a perfume blogger at I Smell Therefore I Am). There are three Tableau fragrances (Miriam, Loretta, and Ingrid) and, as the Tableau Parfums website at Evelyn Avenue explains, each one is an olfactory representation of a particular female character in Brian Pera’s film series, Woman’s Picture. According to the website, “Woman’s Picture is an anthology film inspired by classic women’s films of the thirties, forties, and fifties. The story is divided into three sections, each of which presents a portrait of a specific female character.” I’d previously reviewed the tuberose Loretta, but couldn’t wait to try Ingrid given its oriental notes. Ingrid opens on my skin with lily of the valley and dust, followed by an oddly stale, sharp, leathered, sweetness that smells like styrax resin that has gone a bit off or turned rancid. Seconds later, there is ISO E Super, more dust, a vanillic sweetness, and powdered rose. The lily of the valley tries to add some freshness but it is such a delicate aroma and cannot counter the other elements. My overall sense is of extremely musty, fusty, sweet dust with an odd edge. It’s hard to describe but, to me, it smells like the stale air in a dusty attic that hasn’t been opened in decades. The ISO E Super is a light touch, and isn’t responsible for any of this at all. Yet, at the same time, there is an undercurrent that is sickly sweet. I suspect the latter stems from the frangipani or plumeria, a flower whose scent I find sickly and quite difficult in general unless it’s handled very lightly. Here, the plumeria isn’t individually distinct in Ingrid’s opening moments, but I’m pretty sure it’s responsible for that particular, nauseating, cloying touch. It injects its syrup from a distance into the faintly leathered, “off” dark notes and the arid dust, creating a combination that I find quite discordant and just plain odd. Other elements are smoothly blended into the background. There are flickers of cloves with a touch of cinnamon. Much more pronounced is the old-fashioned floral soapiness that dances all around. A soft touch of sweetened citruses lurks in the shadows, alongside the rose. The primary bouquet, however, is of ancient, antique dust with lily of the valley, followed by a touch of fusty greenness and soapiness, all nestled within the strong embrace of stale, somewhat rancid, dark sweetness. I’m finding it incredibly hard to convey precisely because I can’t explain why I’m smelling what I am, or the extent of the strange combination. It’s akin to the fustiest of mineralised oakmoss, infused with styrax resin gone rancid, cloying sweetness, prickly aromachemicals, vanilla, flowers that feel dried and pressed in an ancient book, soap, and some strange dark element, all doused with the dust of ages. 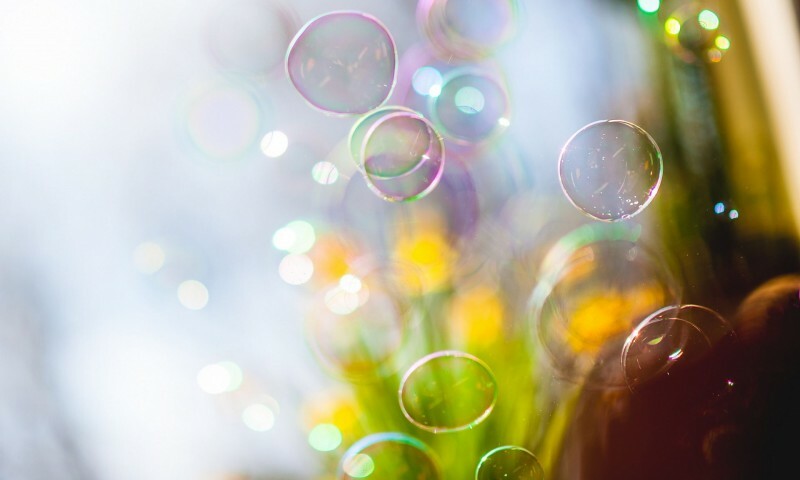 There is an oldness to the aroma that reminds me of an old lady’s clothes in a closet that she hasn’t opened in years, but the dusty fabrics still carry the lingering traces of her floral perfume and the soap on her skin. I almost never find fragrances to be “old lady,” and it is a pejorative term that I find offensive, but if ever I were to use it, it would be for Ingrid. Most people give that label to heavy orientals or powdery scents, like Shalimar or L’Heure Bleue. I’ve never agreed with that and if I’m using the term here, it’s for a very different reason: the fetid dustiness of accumulated years. I’ve tried Ingrid twice, and with different quantities each time, but on both occasions, I had enormous difficulty with the opening because of that one reason. Twenty-five minutes in, Ingrid starts to change. The stale, sharp mustiness ceases to be the leading note, though it is still substantial and enormous. It now shares center stage with the soapiness and florals. The frangipani or plumeria makes its first appearance in a distinct way; the orange grows a whiff more noticeable; and the sweetened powder becomes more dominant. Then, the cloves rise up from the base, and… oh boy. I love cloves, passionately, but the note here takes on a medicinal undertone that strongly reminds me of American, clove-based, dentistry analgesics. At the same time, it’s pungent and, yes, dusty. In fact, it merely compounds Ingrid’s overall odd staleness, creating an aura of fusty antiques, florals with old-fashioned soap, strange sweetness, and spice. 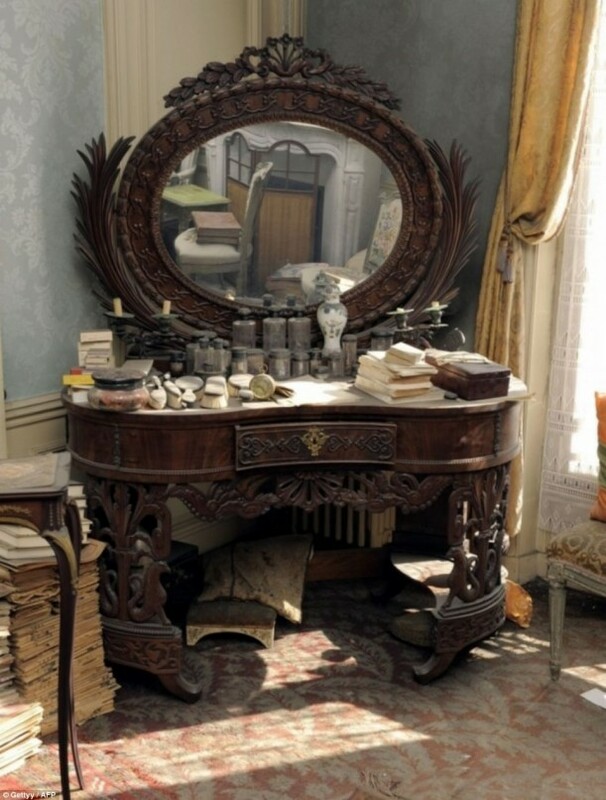 Woman’s dusty, antique dressing table and perfumes from the Paris time-capsule apartment. Source: Daily Mail. Ingrid finally softens about 45 minutes in, and the sillage drops. From a moderately strong opening, it now hovers two inches above the skin as a blur of powdered, sweet florals with medicinal, pungent cloves and a strong dash of vanilla powder over a slightly warm base. Nothing in the latter translates to my nose as richly ambered or darkly resinous. This is not the labdanum of Dior’s Mitzah or Serge Lutens’ Ambre Sultan. It’s not the smoky, leathered styrax resin that I’ve encountered in other perfumes either. In fact, Ingrid’s colour visuals would be powdered pastels with ribbons of brownness from the cloves, and greyness from the dust. To my relief, the fusty staleness slowly diffuses and weakens, making Ingrid a touch easier to bear. At the 90-minute mark, Ingrid merely smells like old-fashioned, 1930s-style, feminine, powdered florals, instead of being dominated by dust from that same era. The perfume remains largely the same for several more hours to come, though the plumeria or frangipani takes the lead as the main flower, followed by the rose. The always subtle muguet has faded away completely, while the soapiness retreats to the sidelines. However, the cloves continue to blast away, though, thankfully, they’ve lost their medicinal undertone. Lurking all about is an amorphous, indistinct, dry woodiness that has the tiniest hint of something smoky about it. It’s hard to detect though, given the sweetened powder that now infuses Ingrid from top to bottom. 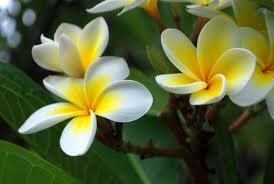 Ingrid’s notes slowly grow hazy and abstract, with only the plumeria and cloves really standing out. If you smell really hard and up close, the rose pops up once in a while in the background to add a very muted, muffled hint of Damask-like richness, but it’s usually indistinct on my skin. The plumeria feels unctuous, while the cloves now remind me of a Christmas baked ham. And the sweetened, vanillic powder infused them both. Yet, even those notes become blurry and nebulous around the end of the 4th hour. Soon, Ingrid turns into a soft, generalized, vaguely frangipani-like, floral powder with vanillic sweetness and cloves. What is interesting, however, is the base which turns increasingly warm and ambered. It’s a largely abstract amber, to my nose. It doesn’t feel distinct or individual enough to separate out into labdanum amber at all, but just feels like a warm, spiced, slightly leathered, dry goldenness. Call me crazy, but the Tauerade signature seems to take on some Caronade similarities. Or perhaps the cloves in Ingrid are so dominant that, in conjunction with the growing amber, it makes parts of Ingrid resemble Caron‘s clove-based Poivre in its foundational elements. The big difference here is the plumeria with its nauseatingly sickly sweetness. By the end of the 7th hour, Ingrid turns into a sweetened, powdery, floral oriental with plumeria nestled in a spiced ambered nest. It’s also a skin scent at this point. Oddly, the ISO E Super suddenly becomes much stronger, adding a prickly, peppered, jangling bit of dryness to the base, though it’s not enough to cut through the plumeria’s syrup. The cloves fold into the Tauer base which is actually quite nice, and well-balanced between the dry and warm elements. As a whole, though, the perfume is largely a nebulous blur of powdered, very sweet florals atop a warm base with some dryness and abstract spiciness. Ingrid remains largely unchanged until its end when, 11.25 hours from the start, it fades away as a blur of warm sweetness. Skin chemistry is a funny thing, and I blame my own for whatever vagaries occurred with the dust, and the “off,” almost rancid, dark-sweet accord. I also need to repeat what regular readers know all too well: I don’t like scents that are either powdered florals, sweetened powder, or soapy. Having all five things together — at the same time — made Ingrid extremely difficult for me. I tried to like it, I really did, but my skin simply wouldn’t comply. The first time I wore it, with just a small amount, I came within inches of scrubbing it off after only 20 minutes, and it takes a lot for me to get to that level. To my surprise, the ISO E Super was very powerful at the lower dosage, but that wasn’t the problem at all. The difficulty was the dryness and fustiness which, in the opening 25 minutes, is excessive on my skin, regardless of the quantity used. In fact, the dry dustiness I experienced with Ingrid far surpassed anything in L’Air du Desert Marocain. Relatively speaking, that fragrance almost verges on the gourmand in comparison to Ingrid’s start on my skin. Plus, LDDM was never fusty or dated in feel. While Ingrid eventually loses its arid mustiness, it is simply replaced by old-fashioned floral powder and dusty cloves in a way that simply doesn’t work for my personal tastes. I kept imagining a woman from the 1930s or 1940s: older, relatively well-dressed, somewhat matronly in sensible clothing, and who had worn the same comfortingly powdered, floral scent since she was a young bride. Ingrid is earthy and reminds me of birch or tar or dried bracken. There is winter spice too, but not in a chintzy Christmas way, you’ll be relieved to know. The Rose is prevalent, and as with other Tauer scents, no Rose is the same twice. In this case, the Rose reminds me of dried petals in a pot pourri- they have gone paper thin and their colour has faded but their scent has gone faintly peppery. Nevertheless it can still be recognised as Rose. Ingrid is rich and spicy, but dry rather than sweet. It left me thinking I could smell the deep dark scent of Myrrh, but it may have been the resinous Styrax which is used so beautifully. On my skin, the base notes of Ingrid are Clove, dried Roses, Resin and Frangipani. It’s rich, dark and mysterious yet the ingredients have been used lightly enough not to overwhelm. Andy Tauer has created a fragrance that is all at once foody , pillowy , warm , comforting – in a word delicious . Ingrid just fits my mood and makes me want glue my nose to my wrist . Ingrid never frowns , never argues nor challenges . This fragrance flows from sunshine and tart nectar and I loved it at first whiff . The frangipani note is so perfect…It lasts a good six hours on skin ( probably longer if you don’t cook or wash dishes – I do .) Ingrid reminds me of a fluffy whipped cream and rice confection called Glorified Rice , which has bits of tart mandarin slices in it . If I had any complaint it would be the early drydown of Ingrid falls a little flat , but eventually smooths out . The Cloves and Frangipani make this a great choice for Autumn and Winter. I didn’t get any Lily of The Valley: to me this is dark and full of shadows and mystery. Ingrid wasn’t my cup of tea, but we’re all different and have different tastes, not to mention different skin chemistry. So, if Ingrid’s notes sound appealing to you, and if you enjoy either frangipani or some of Andy Tauer’s drier fragrances, then give her a sniff. Cost & Availability: Ingrid is an eau de parfum that comes in a 50 ml/1.7 oz bottle that costs $160 or €135, and which comes with a free DVD and movie poster. Ingrid is also available in a small 7 ml travel spray that costs $40. 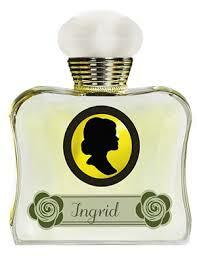 In the U.S.: you can buy Ingrid in all sizes directly from Tableau de Parfums, along with Luckyscent. Tableau de Parfums only ships domestically. I’ve read that the line is also sold at Portland’s The Perfume House, but it is not listed on their website. Outside the U.S.: In Europe, you can find Ingrid at Germany’s First in Fragrance which sells the perfume for €135.00 and the travel size for €39. It too carries samples. In the UK, Scent & Sensibility carries Tableau de Parfums, and sells Ingrid for £110, with the purse spray for £25. In Italy, you can find the Tableau de Parfums line at Milan’s Profumi Import, but I’m not clear about price or if they have an e-store. Tableau de Parfums fragrances are also sold at a handful of other locations in Europe, from Marie-Antoinette in Paris, to Switzerland and Lithuania. You can find that information on the company’s website. Samples: You can get a sample of Ingrid from Luckyscent for $4 for a 0.7 ml vial, or The Perfumed Court, where prices start at $6.99 for a 1/2 ml vial. Loretta is not sold at Surrender to Chance. This entry was posted in Florals, Orientals, Perfume Review, Tableau de Parfums, Tauer Perfumes and tagged Andy Tauer, Ingrid Perfume, perfume review, Tableau de Parfums, Tauer Perfumes, Tauer's Ingrid by Kafkaesque. Bookmark the permalink. Thank you so much for quoting me, I am flattered. 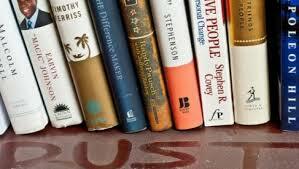 Your reviews read like a story unfolding. I really like your style of writing. You’re very welcome. 🙂 And I’m glad you enjoyed the review. I just wish I had had your experience with the scent. I was spellbound by your excellent review. Just too bad that you didn’t like Ingrid. The inspiration for the perfume is so much fun! I don’t like the use of “Old Lady” to describe perfume either. When I hear it what I am really hearing is that the person saying it has, there is no way to say it nicely, a very un-sophisticated and naive nose. BUT they way you describe this perfume and the correlation to that fascinating time capsule Paris apartment leads me to say, yes I get what you mean by old lady. 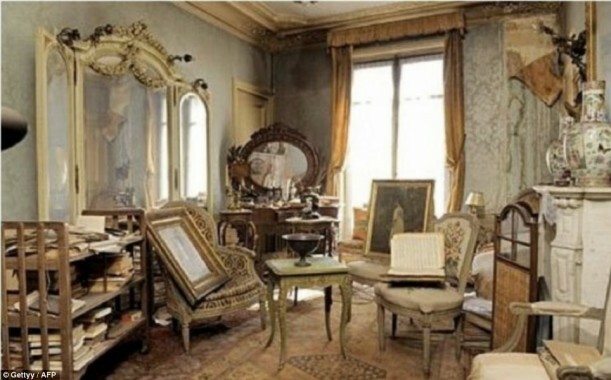 And in this case a Miss Havisham may be lurking in there somewhere…n’est-ce pas? Oh my word, Miss Haversham is the PERFECT way to assess some of how Ingrid started on my skin! So amazingly on-point. I wish I’d thought of it! 🙂 Brilliant, Lanier, brilliant. I’ve missed you too, my dear. I read all your entries, but my own lack of time has made commenting difficult on almost all sites. My apologies for that, but I very much enjoyed your Ashoka tale. We are all caught up then! 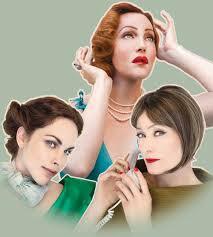 I can think of no male in literature who is like Miss H…. at the moment. It would be an interesting character to create. Ummmm …. my gears are turning. LOL, are you another Lily of the Valley runner, like Hajusuuri? I’ll have to remember that. As for the utterly perfect “Miss Haversham” description, Lanier mentioned it in his comment and I was like…… “DUHHHHHH, how could I not remember that?!! !” Such a dead-on, evocative, immediately meaningful term. I’d completely blanked out on it, perhaps because Great Expectations is my least favorite Dickens novel ever, but I’m certainly going to use it from now on. So much better and more accurate than the obnoxiously sexist, rude “old lady” term. It’s a non-starter for me unless a sample falls on my lap. As you know, LOTV is one note I avoid / do not actively seek and this one has it although it seems not in a strong concentration. For a second, it looked like the women had moustaches and then I realized it was just from the shadows from the bottom of their smiling cheeks :-). By the way, I love the site from which you linked the 1930s Vancouver photo! Did you know about that site before and follow it? Because it’s totally new to me, and I simply LOVED that post of 1930s street photos. So personal, vintage, different, and endearing. Coolest thing I’ve seen in a while, and I’m definitely going to check out more from the blogger. As for Ingrid, you have no idea how much I thought of you from the moment I saw “lily of the valley” mentioned in the notes. I know how traumatized you were by Carillon pour Une Ange, and by the LOTV note in particular. It definitely isn’t a significant part of Ingrid at all, on me or on anyone else for that matter. That said, I don’t think Ingrid would be your cup of tea for a variety of reasons…. I am not sure I would have the stamina to wait for the ‘Miss Havisham-esque accord’ to subside, so I will get my enjoyment of this scent from reading the evocative twists and turns of your own time with it. LADDM is dry and dusty enough for me (and I do love it). I’m laughing at all the Miss Havisham references! Oh my! I like dry and dusty, but this sounds sort of unlikable. Given the differing opinions, I may try it out…one day. I do love Lily of the Valley, though!